Further to the agreement signed with the Intellectual Property Office of Singapore (IPOS) that allows the owners of granted Singaporean patents to re-register their patent in Cambodia, the Ministry of Industry and Handicraft (MIH) has made another effort in Biletaral Intellectual Property (IP) Cooperation by signing a Memorandum of Understanding with the State IP Office of China (SIPO) on September 21, 2017. This MOU shall come into effect on April 1st, 2018; accordingly, MIH will recognize patents granted at SIPO. – The China patents must be in force at the time of lodgement of re-registration request. 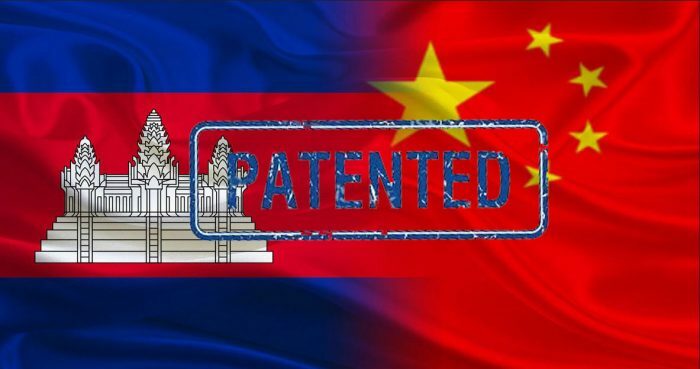 – The China patents must meet the Cambodian requirements for patentability, e.g. Cambodia will not re-register pharmaceutical patents until the flexibilities accorded under the Agreement on Trade-Related Aspects of Intellectual Property Rights (TRIPS) have expired; and all documents including specifications must be translated into Khmer language, etc. (iv) Granted/ Certified true copy of China Patent. Time frame: the patent examination result under the MOU is expected within six (06) to nine (09) months as from re-filing date of patent in Cambodia.